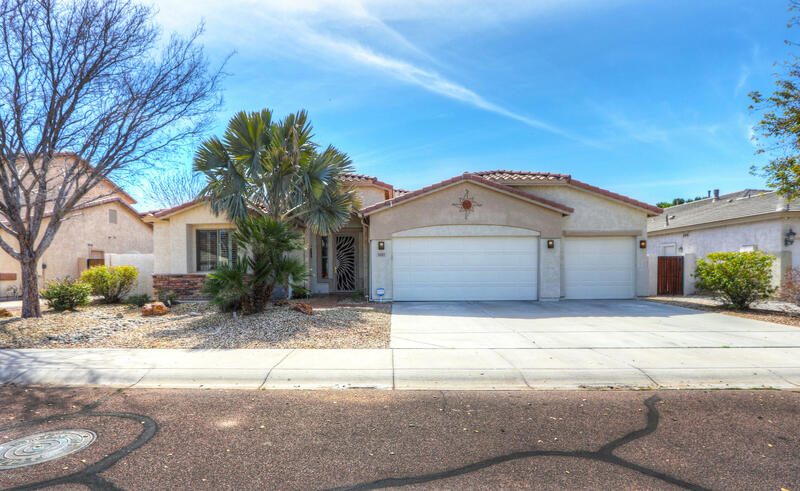 All TWIN PALMS homes currently listed for sale in Peoria as of 04/24/2019 are shown below. You can change the search criteria at any time by pressing the 'Change Search' button below. "This amazing move-in ready house with spacious split floor plan was originally a model home that came with all the snazzy upgrades and has been kept in great shape for your arrival! Gorgeous landscaping all around with palm trees, fountains, putting green, built-in BBQ in the back. Master bedrooms has its own backyard exit. Extra bedrooms have spacey walk-in closets. 3-car garage has lots of storage space and is air-conditioned. Built-in surround sound inside and outdoors. Comes with alkaline RO"